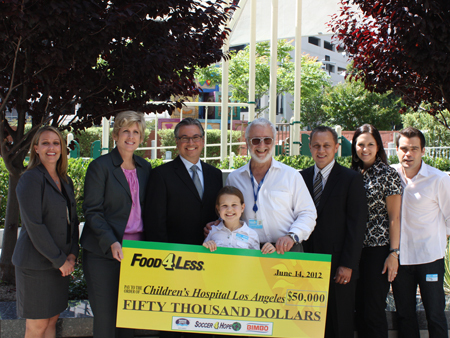 Food4Less along with Nestle Waters and Bimbo raised $50,000 for Soccer For Hope. All proceeds from the promotion will benefit pediatric cancer research at the Children’s Hospital of LA. This program has been in existence since 2007 and raised over $250,000 total for our efforts.